In recent months and years, China has increased its crackdown on religion, resulting in extreme human rights abuses and an unprecedented attack on minorities who have been quietly practising their religion as part of their everyday lives. Now, in a new report, the charity Open Doors, says 50 million Christians in China are expected to face some sort of repression in 2019 on the grounds of religion. 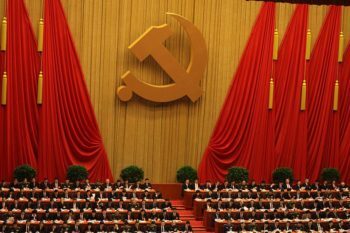 Humanists UK has called for all citizens’ freedom of religion or belief to be guaranteed by the Chinese state, which has been under Communist Party rule since 1949. As part of its agenda to control organised religion, the state has passed laws that regulate and prescribe forms of religious expression. Reports suggest China has particularly targeted Christians and Uighur Muslims, among other minorities, with a reported five million Muslims having been imprisoned in re-education camps where forced labour is common. Alongside this disturbing news is reports of widespread attempts to eliminate religion; from banning the Bible to bulldozing churches. Last year the International Humanist Ethical Union (IHEU)’s Freedom of Thought Report, which ranks countries’ treatment of non-religious people and states’ commitment to ‘freedom of thought’, ranked China as ‘brutally repressive’. ‘Humanists advocate for freedom to be non-religious and also the freedom of all people to practice their religion without causing harm to others. ‘As humanists, we campaign for a fair and just world, including a secular state that treats everyone as equal regardless of religion or belief. We believe in the right to freedom of religion or belief which is enshrined in the 1948 Universal Declaration of Human Rights. ‘Humanists wholeheartedly condemn China’s appalling treatment of its citizens and its attempts to strip people of their rights to practice their religion. For further comment or information, please contact Humanists UK press manager Casey-Ann Seaniger at casey@humanism.org.uk or phone 020 7324 3078.